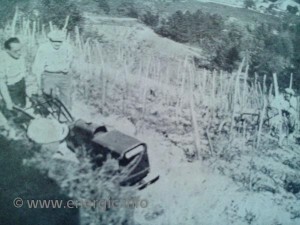 On steep and uncultivated land it was very difficult to make the surface farmable. 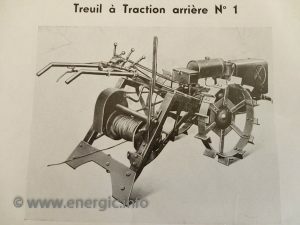 It required a machine that was re geared and capable of pulling a deep plough, straight sometimes great distances.The Energic motoculteur G9 and later the D9 was capable of pulling a deep plough 250m with 6MM steel cable! Energic type B4L 1930/1 pulling up to 250m! 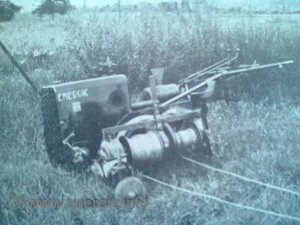 Energic motoculteur winch adapted type C7 B4L 1930/1 pulling up in the field opposite. Deep ploughing great distances – power. 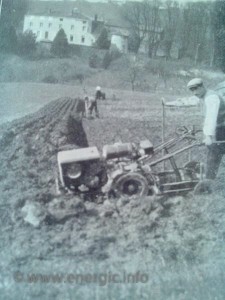 First cut on uncultivated land. Energic C7 4BL with demountable winch. 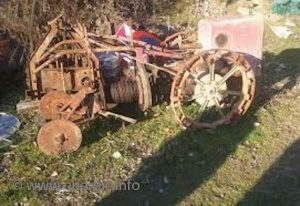 Demountable winch additional equipment available from 1933/5 at just 1500fr. Bargain. Normally fitted to C7 B4L. 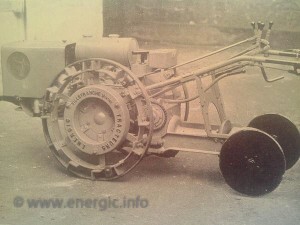 Energic D9 Winch on a S bloc 1934/5 on wards. Winches/treuils machines where of heavier construction than there motoculteur counter parts. A additional gearbox is required to deal with the ratios required for winching. It also required a stronger drive chain. The pins in the interior of the gearbox where reinforced (special steel) to cope with the extra loading and lubricated in a reservoir bath of heavy duty oil. Additionally the bearings used for out shafts where larger than the standard motoculteur. 3 gears where available within the winch for cable retrieval. 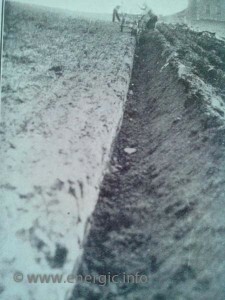 The plough would be additionally directed and balanced in position by another ploughman, who could be a considerable distance away from the winch operator. 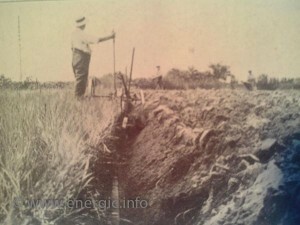 The machine was always placed at perpendicular (right angles) to the line of work/pull. Thus positioning the winch directly inline with the line of work. This machine is secured in position by its weight coupled with rear steel discs which dig into the ground preventing slippage.